Dr. Giancarlo Mercogliano, MD is a Doctor primarily located in Wynnewood, PA. He has 36 years of experience. His specialties include Gastroenterology and Internal Medicine. He speaks English. Dr. Mercogliano has received 2 awards. The overall average patient rating of Dr. Giancarlo Mercogliano is Great. Dr. Giancarlo Mercogliano has been rated by 7 patients. From those 7 patients 4 of those left a comment along with their rating. The overall rating for Dr. Giancarlo Mercogliano is 4.4 of 5.0 stars. Dr. Mercogliano was born in Italy and raised and educated in the Philadelphia area. He speaks Italian fluently. He graduated from LaSalle College in 1979 with honors. After graduating from Hahnemann University Medical School in 1983, he started his residency in internal medicine at Lankenau Hospital. Dr. Mercogliano remained at Lankenau Hospital for a fellowship in gastroenterology. Since completion of his fellowship in 1988, Dr. Mercogliano has been on staff at the Lankenau Hospital. Dr. Mercogliano is board certified in both internal medicine and gastroenterology. He is an active member of the American Medical Association, the American College of Physicians, the American Gastroenterology Association, American College of Gastroenterology, the Bockus Society and the American Society of Gastrointestinal Endoscopy. Dr. Mercogliano is actively involved in teaching and training internal medicine residents and gastroenterology fellows. He is the Director of the Gastroenterology Fellowship program at the Lankenau Hospital. 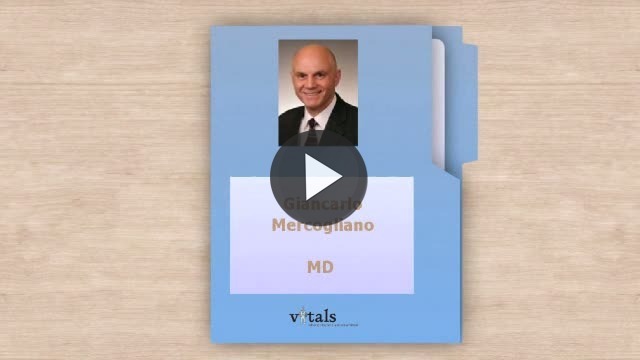 Take a minute to learn about Dr. Giancarlo Mercogliano, MD - Gastroenterology in Wynnewood, PA, in this video.